As humanitarians, we must constantly respond to problems and look for improvements in the way that we work and the outcomes that we deliver. This often involves relatively minor course corrections or other adjustments to standard practice, but sometimes a failure to see sufficient change might lead us to a bigger problem that requires us to rethink ‘standard practice’ entirely. This is what we mean by ‘innovation’. The more time spent on understanding the problems we face, the more likely we are to develop innovative and appropriate solutions, and in a sector where resources are limited, innovation should always address a real and recognised concern. Our upcoming report on scaling innovation highlights the need for projects seeking to reach scale to ensure they’re addressing the ‘right’ problems from the outset. Problem Recognition is an intentional process of understanding problems, in order to develop new solutions. 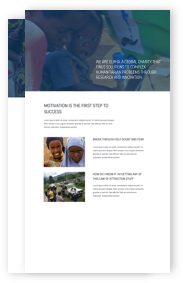 In the Humanitarian Innovation Guide, we outline a series of steps aimed at identifying a problem or opportunity for improvement, collecting and assessing available knowledge on the issue and context, diagnosing root causes, and framing the response. But what are the difficulties in doing this well, and how can we improve? This was the subject of one of our focused sessions at our Humanitarian Innovation Forum in Brussels earlier this year. We wanted to better understand the challenges and barriers to good problem recognition in the humanitarian sector, and how, as a humanitarian community, we might improve. In summarising the discussions, three key areas came to the forefront. Structural bias can lead us to prefer some problems over others, irrespective of the severity of the problem or potential impact of a solution. We focus on easy problems with low returns, when we lack the incentives to take on more complex problems with higher potential returns. These incentives include both the organisational structures that enable problem exploration, and the resources that are required to do it well. Within organisations, we ignore multi-dimensional problems that require a multi-disciplinary approach when we lack the pathways to bring in new perspectives and expertise. And in roles with a high staff turnover, disrupted flows of information and a short-term mindset combine to reduce incentives to tackle structural problems. New thinking often comes from new partnerships, and innovation requires people to be invested in understanding the problems they’re confronting and seeing the development of solutions through to their conclusion. As Julie Marshall said when discussing her HIF-funded project on disability and gender-based violence at the Forum, “Whose views do we value? Who gets to define the problem?” There is a lot of power in being able to define the problems we respond to, and it’s vital that the people who experience the impact of problems in humanitarian emergencies are articulating the challenges and developing solutions. 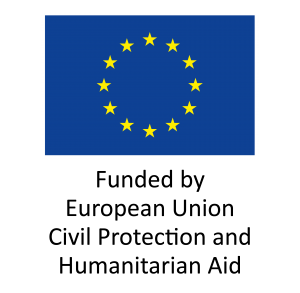 According to Elrha’s Global Prioritisation Exercise (p9), the vast majority of both innovation funders and funding recipients are headquartered in Europe and North America, which can give these actors a disproportionate amount of sway over the problems that get prioritised. As a result, there are instances of ill-thought through, top-down innovation processes resulting in innovations that do not address local problems. This presents a real opportunity-cost to the sector – scarce funds for innovation could have been better spent on ideas that are able to achieve greater impact. We have to do more to ensure that funding for innovation is going to projects defined by the people we seek to serve. At Elrha we have made a commitment in our 2018-2020 strategic approach to increasingly focus on local engagement, grounding problem recognition and the development of solutions at a local level. Mental shortcuts or ‘heuristics’ help us to make decisions by focusing on certain aspects of a complex problem. For example, if asked to judge the prevalence of two diseases, your choice might be influenced by recognition of the diseases’ names, in place of evidential knowledge. This ‘availability heuristic’ means we’re more likely to believe the most consequential problems are the ones we can easily bring to mind – favouring vivid stories over statistical evidence. Cognitive biases are the result of these shortcuts. Similarly to the example above, the confirmation bias means we’re more likely to recognise problems that align with our pre-existing beliefs. It is for this reason that we need to take care to ensure that opportunity-led innovations are addressing real and consequential problems, and we are not cherry-picking information that confirms the need for a solution we’re proposing. When recognising and defining problems, we need to be constantly vigilant about our inherent biases and continually question the assumptions that might lead us to certain conclusions. To avoid falling into these mind traps, we need to draw from the previous points: we need the incentives to commit to developing a deep understanding of the issues at play, and we need the humility to recognise the limitations of our own knowledge and experience and to be open to the knowledge and experience of others – ensuring a greater diversity of opinion in the process. 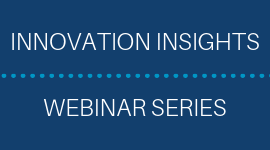 Our upcoming webinar on 27 September at 10:00 BST will draw from our new Humanitarian Innovation Guide to walk through a selection of tools and techniques, supported by case studies, that can be used as part of a structured approach to gaining a deeper understanding of problems and shaping that learning into actionable ‘challenges’ to inform the search for new solutions.